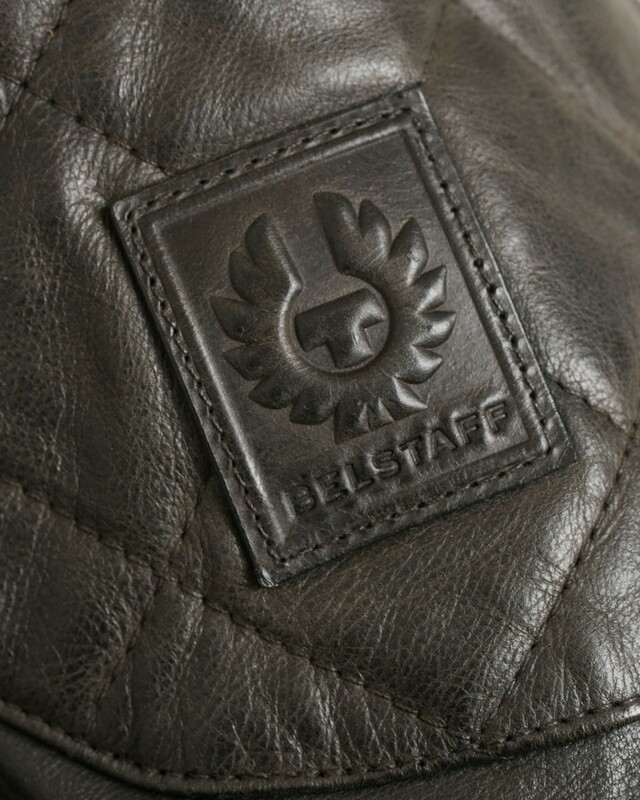 Belstaff Outlaw 90000 classic café racer jacket, in black, is crafted from oiled and hand-waxed leather with a a unique depth of colour, due to Belstaff’s exclusive artisanal finishing. 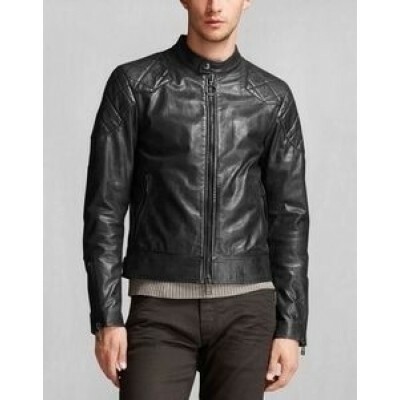 which also allows the Outlaw to be durable, with a water repellent coating. 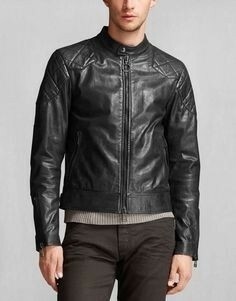 Finished with a classic press-stud closure to the collar and two side pockets with zip closures. 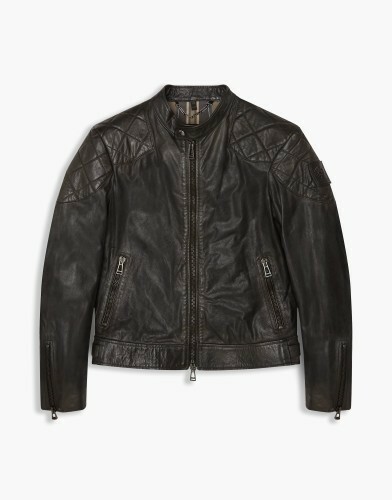 Detailing also includes the iconic Belstaff’s diamond stitch shoulder reinforcements and side tab adjusters for a custom fit.